Invest Openly: Will Both Monk and Warrior Eat The Banana? Will Both Monk and Warrior Eat The Banana? Recently, the personal finance blogsphere is filled with a vibrant debate between the monk and the warrior (and recently a few farmers and a Voltron also joined in the fun). I think it all started because of the blog post by Alvin Chow of Dr Wealth (Are Financial Blogger Sufferings?). In case you still do not have a clue of what I am referring to, in summary: if you are in the monk's camp, you have a strong mind to endure "suffering" (read rigorous saving) and if you are in the warrior's camp, you have a strong mind to do bold thing (read rigorous earning streams). I will not dwell much into whether the monk or the warrior is better? My only question is : Will both monk and warrior eat the banana? 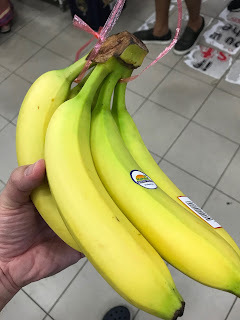 You see, either monk or warrior, they also need something to keep their brain/mind/body afresh so that they can continue with their respectively lives "fruitfully"(whatever it means to them), so banana here is just a symbolism of something "of value" to them. I think the most sensible answer is "it depends!" 1. Whether the monk or the warrior like to eat banana or not? Just like me, if you ask me to eat fish, it is a no-no (unless I've got no choice). 2. Whether the banana is within their reach? If the banana is not available (our of stock), too bad for them.